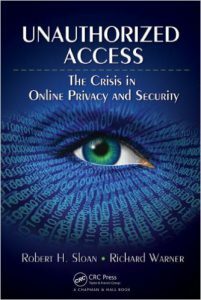 Going beyond current books on privacy and security, Unauthorized Access: The Crisis in Online Privacy and Security proposes specific solutions to public policy issues pertaining to online privacy and security. Requiring no technical or legal expertise, the book explains complicated concepts in clear, straightforward language. The authors—two renowned experts on computer security and law—explore the well-established connection between social norms, privacy, security, and technological structure. This approach is the key to understanding information security and informational privacy, providing a practical framework to address ethical and legal issues. The authors also discuss how rapid technological developments have created novel situations that lack relevant norms and present ways to develop these norms for protecting informational privacy and ensuring sufficient information security.